The Rovigo Iron Vanity offers unique design and lots of character. This single vanity is the perfect centerpiece for a small bathroom. It comes with a brown marble top and white porcelain undermount sink. 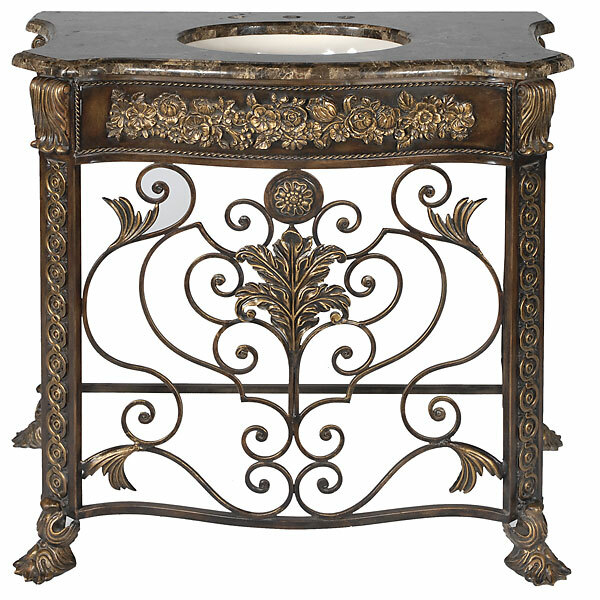 The intricate wrought iron design makes this vanity stand apart from the others.